We’ve been asking–actually, begging and pleading–for a ride in this monument to Americana but James Chen always found a way to politely turn us down. 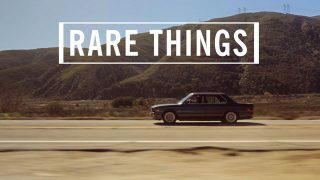 He is, he says, willing to share his Ferraris and Lamborghinis and Cadillacs, but he and his family enjoy such a personal relationship with this particular car that he seldom shares it with outsiders. He finally gave in. 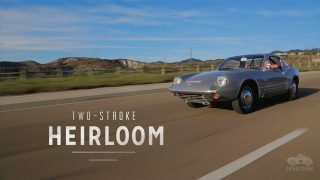 In 1967, Glenn's parents special-ordered a silver Saab Sonett II from a Florida dealer and, as a result, Glenn spent his childhood riding to school not in Detroit’s muscle cars of the 1960s and ‘70s but in a 1500-pound Swedish sports car with a 70 horsepower, two-stroke engine. The Sonett has followed Glenn through life. 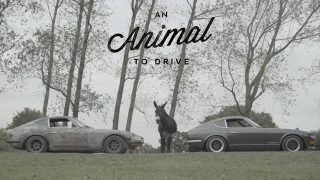 In 1980, when he was eighteen years old, Glenn bought the car from his parents for $300 and, with the help of his father, gave the car enough energy to carry Glenn through college and into adulthood. The average American driver puts 13,500 miles per year on their car. 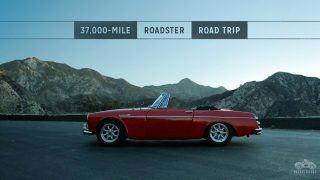 Mr. Scott Fisher of Las Vegas, Nevada, added that many to the odometer of his 1967 Datsun Roadster in just the first three months of a recently-completed road trip that ultimately took him to forty-eight U.S. states and seven Canadian provinces. By the time Scott pulled into his garage in Las Vegas for the first time in eight months, he had covered 37,850 miles of the North American countryside. The only thing rarer than the sight of a Datsun 240Z in the English countryside is the sight of two 240Zs in the English countryside. Spend enough time on the backroads of Kent, however, and chances are Mel Streek and his son, Ollie, will scream past you in their pair of Z cars. 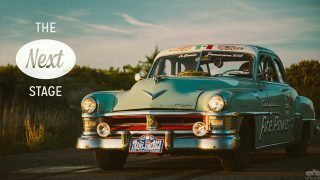 After some searching for a rally car, Jake Auerbach and his father settled upon a 1951 Chrysler New Yorker, a car which had previously run the famed La Carrera Panamericana race in Mexico and the Pike's Peak Hill Climb in Colorado. They began adding their own miles to the car's odomoeter, running the New York-to-Vancouver leg of the Trans-America Challenge in 2012 in addition to numerous other events. This father-and-son team covered more than 10,000 competition miles together.. They never, however, managed to win any of the events they entered together. In 2012, Jonathan Auerbach died at the age of 70. Shortly after, Jake entered the first rally he'd ever run without his dad. He won. This is a nice car collection. I like the white Lambo! That was hilarious, and very well done . . .
Wow what a sense of humor great job!! I was watching this, thinking, “you have got to be kidding me …” and oh, when was this posted?. Nice one guys! Oh my, they really had me going for a while. I felt so confused. 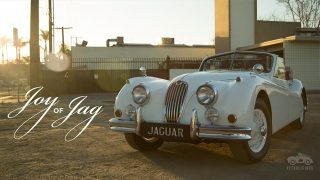 Hell, good catch; thats the exact car used in the video!!! Gaaaawd! Pop had two of these and he passed on a third a year ago! Y’know, in top condition, in this screwy market, it just might go up, if you can keep the emissions equipment from destroying the engine. Best laugh I’ve had all day! Jesus Christ…had me going for a sec…..good job….hilarious. I agree with Matthew, would love to see a feature on that caddy! “Termite inspector.” Hilarious. Great work. I knew it had to be a joke from the start. A Ferrari Lusso owner that likes this piece of crap lebaron? 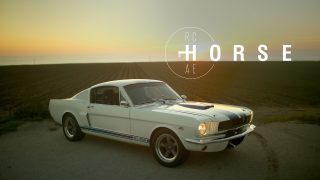 c’on petrolicious. Good one though! But it is rumored to have been owned by Jon Voight! Ha Ha. Well done! At first was like, not sure if serious. Then it hit me, April 1st! Now if it had been one of the proposed LeBaron’s with a RUMBLE SEAT…. 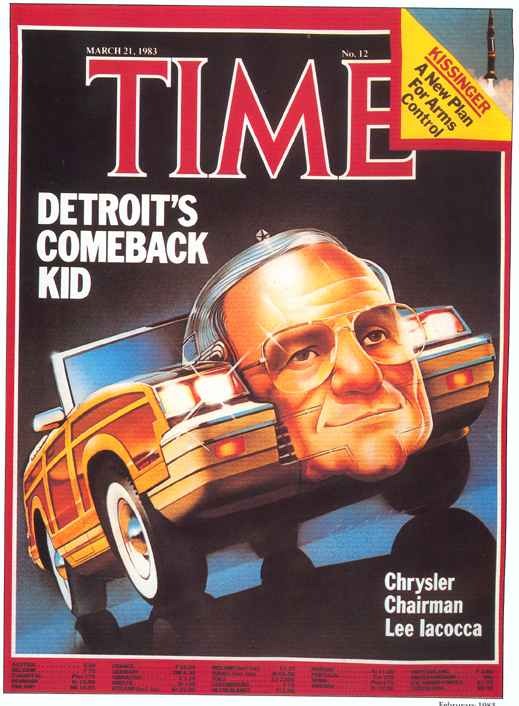 My friend John Voight had a car exactly like that one. I hope he does give that to his son for his first car. Hahaha. Well played! You had me all the way to the end, until I saw the April 1. He is like the Magnus of vintage LeBarons. I hope he can truly obtain a fleet of vintage Lebarons.